Gourmet Burger Co. was a really small restaurant. It had metal tables and high chairs and a few seats along one wall. So, when we entered, there were no empty tables and we nearly left the restaurant to go find somewhere less busy. Lucky for us, a few people were leaving just as we were placing our order. 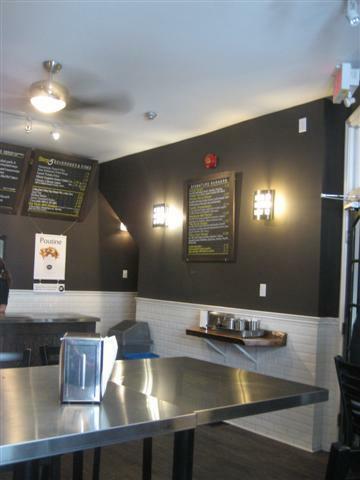 At Gourmet Burger Co., there is no table service; you have to go to the counter to place your order and also to pick it up. All of the burgers were of a big generous size and the ingredients seemed fresh. The chicken burger was a popular choice in our group. This burger was a whole chicken breast that had been marinated in lemon and rosemary. The chicken was tender and it was served in a soft white bun. 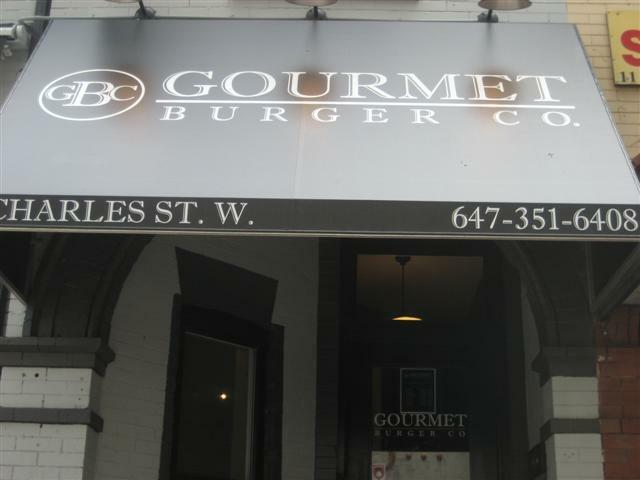 Gourmet Burger Co. had the tastiest fries. They came in small white cardboard boxes. We had the original fries and also the Poutine. 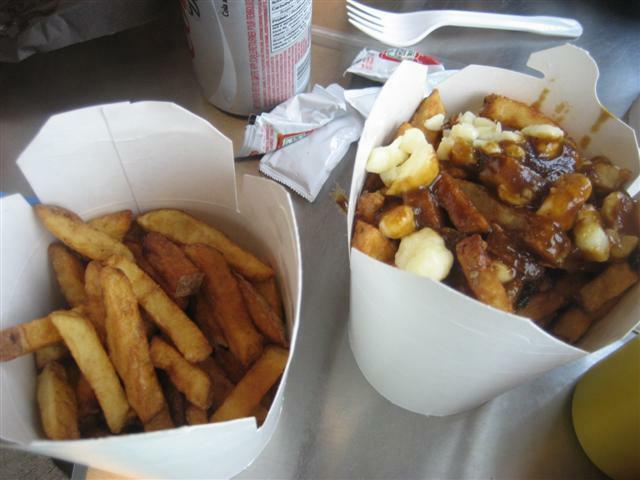 The Poutine were fries that were topped with cheese curds and gravy. The combination worked well. This burger restaurant was good for its food and the staff were friendly. It’s just a shame that it had very little seating.